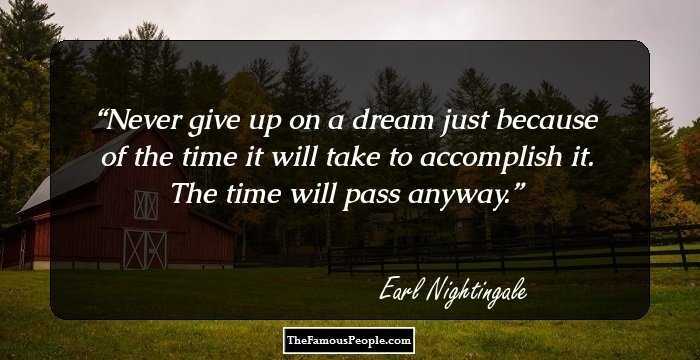 A collection of sayings and quotations by Earl Nightingale on books, dreams, think, thoughts, pass, attitude, courage, creativity, service, life and goals. 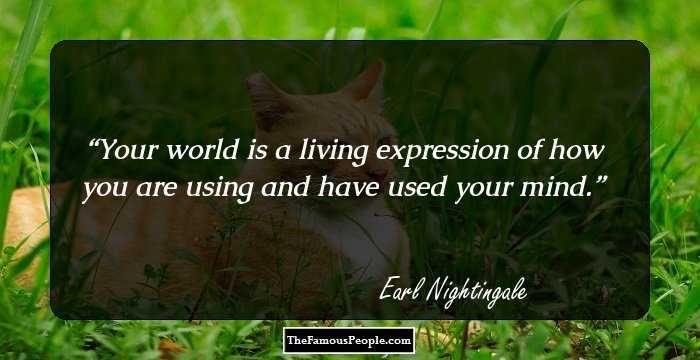 Earl Nightingale gained fame as an iconic American radio presenter after serving the US Marines. 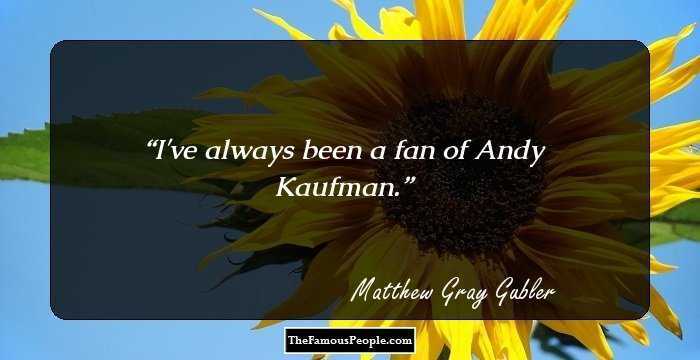 He voiced the character of ‘Schuyler Sky’ in a popular radio show, ‘Sky King’ and was a famous host of the ‘WGN radio’. Earl was acclaimed for his accomplishment as a motivational speaker. He concentrated on personality and character development. The speeches that he delivered or said anythng on the matter gradually became popular as sayings and quotes. Once he gained recognition as a narrator, he produced a spoken voice record of ‘Think and Grow Rich’ and ‘Lead the Field’. 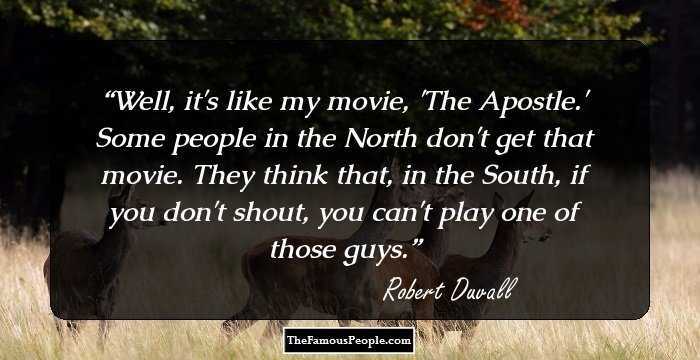 His thoughts and quotations still serve as a source of inspiration. 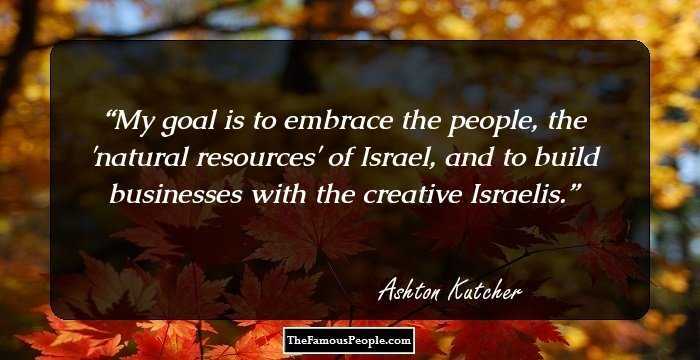 His radio program, ‘Our Changing World’, gained popularity worldwide and was broadcast in several countries and the ‘Armed Forces Network’ over the radio. 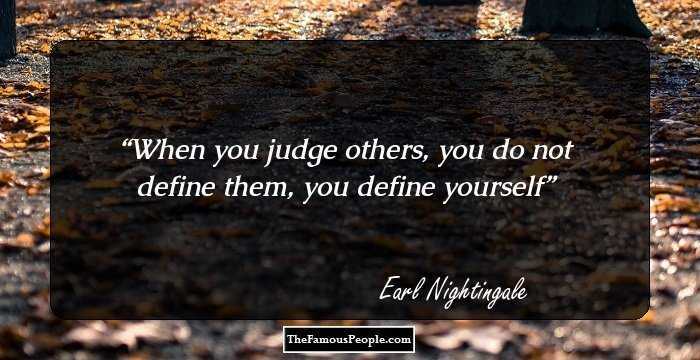 His first book, ‘Earl Nightingale’s Greatest Discovery’ won him the Napoleon Hill Gold Medal for Literary Excellency. 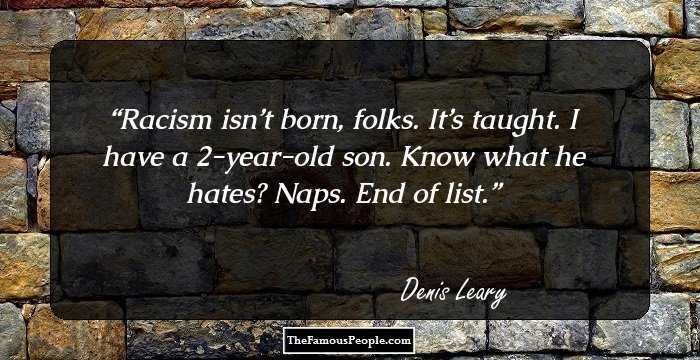 Earl created stir through his life and works, his quotes too carry the same attitude, and here are few notable ones. 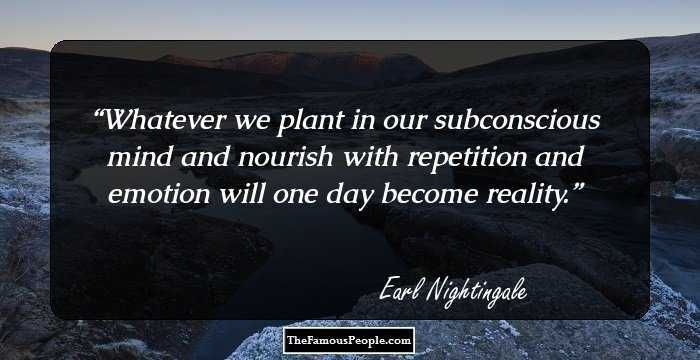 Whatever we plant in our subconscious mind and nourish with repetition and emotion will one day become reality. 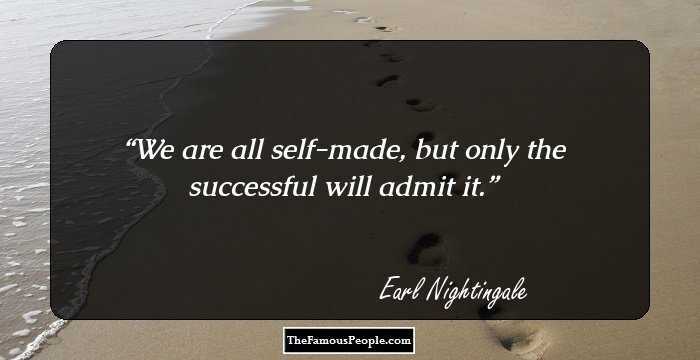 We are all self-made, but only the successful will admit it. 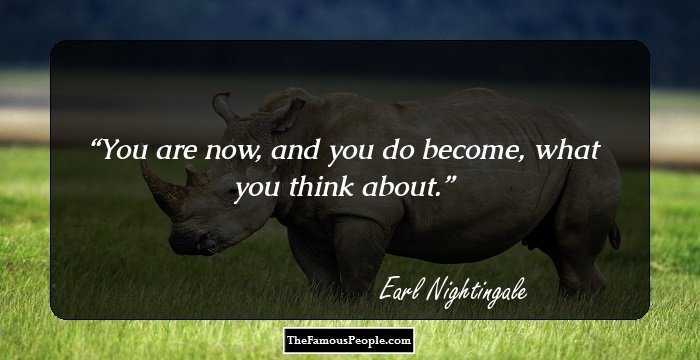 You are now, and you do become, what you think about. Wherever there is danger, there lurks opportunity; wherever there is opportunity, there lurks danger. The two are inseparable. A person who does not read is no better than one cannot read. People who have goals succeed because they know where they're going. It's that simple. The opposite of courage in our society is not cowardice... it is conformity. Success is not the result of making money; making money is the result of success - and success is in direct proportion to our service. William Shakespeare put it this way, "Our doubts are traitors and make us lose the good we oft might win by fearing to attempt. Everything you and I will ever have will come to us as the result of the way we use our minds, the one thing we possess that makes us different from all other creatures. The only person who succeeds is the person who is progressively realizing a worthy ideal. It's the person who says, "I'm going to become this and then progressively works toward that goal. Even if our home burns down we can rebuild it. But the things that we got for nothing, we can never replace. And the greatest teacher of them all, the carpenter from the plains of Galilee, gave us the Secret time and time again, "As ye believe, so shall it be done, unto you. A success is anyone who is doing deliberately a worthy predetermined job, because that's what he decided to do ... deliberately. Ask, and it shall be given you. Seek, and ye shall find. Knock, and it shall be opened unto you. For every one that asketh, recieveth. And he that seeketh, findeth. And to him that knocketh, it shall be opened. Don't concern yourself with the money. Be of service ... build ... work ... dream ... create! Do this and you'll find there is no limit to the prosperity and abundance that will come to you. As you believe so shall it be done unto you. There is a time when one must decide either to risk everything to fulfill one's dreams or sit for the rest of one's life in the backyard. I don't believe in circumstances. The people who get on in this world are the people who get up and look for the circumstances they want, and if they can't find them, make them. 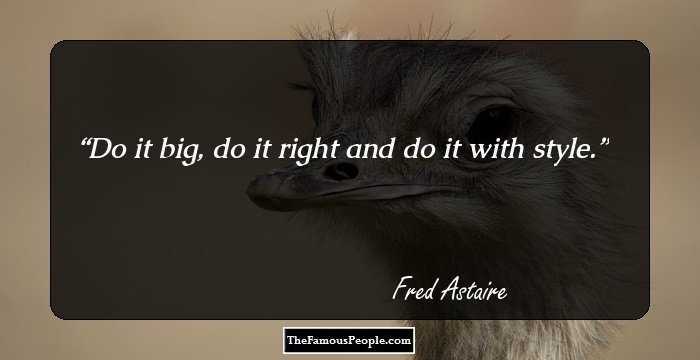 Do each day all that can be done that day. You don't need to overwork or to rush blindly into your work trying to do the greatest possible number of things in the shortest possible time. Work never killed anyone. It's worry that does the damage. And the worry would disappear if we'd just settle down and do the work. If your opportunity comes and you are not prepared for it, it will only make you look foolish. Think about your goal in a relaxed, positive way. 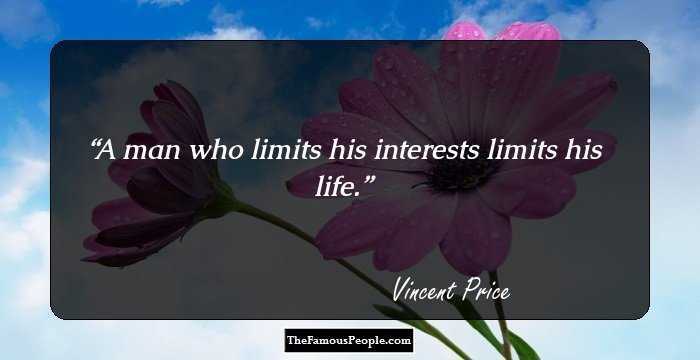 Picture yourself in your mind's eye as having already achieved this goal. See your self doing the things you will be doing when you have reached your goal.